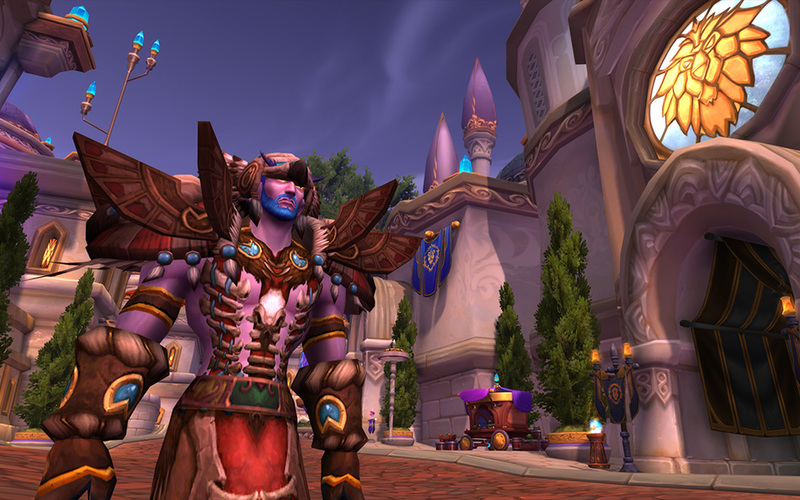 The World of Warcraft: Legion pre-expansion patch is coming soon, and that means a great number of changes and improvements to the game are on their way. Weâ€™ve recently outlined several reasons to get ready for it all here and here. Today, weâ€™re opening up the walk-in closet of wardrobe updates and looking around at whatâ€™s in store for your characterâ€™s looks. With the Legion pre-expansion patch, every piece of gear that is bound to your character permanently unlocks that itemâ€™s appearance for you. Even if you sell or destroy the item, youâ€™ll always be able to look through the new Appearances tab in the Collections window to find its look. There are several ways to look through all of the Appearancesâ€”take note of the icons across the top of the window, and select any of them to narrow the displayed looks. As you page through the looks youâ€™ve unlocked, youâ€™ll also see looks that you havenâ€™t unlocked yet with a grey frame around them. Right-click on any look that you have unlocked to set it as a favorite, which promotes it to the first page of your collection. 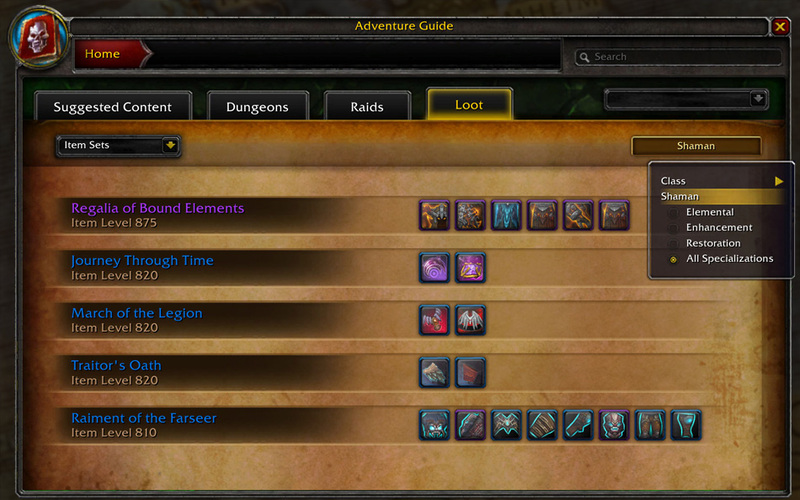 Above the item-type icons, thereâ€™s a handy search field. 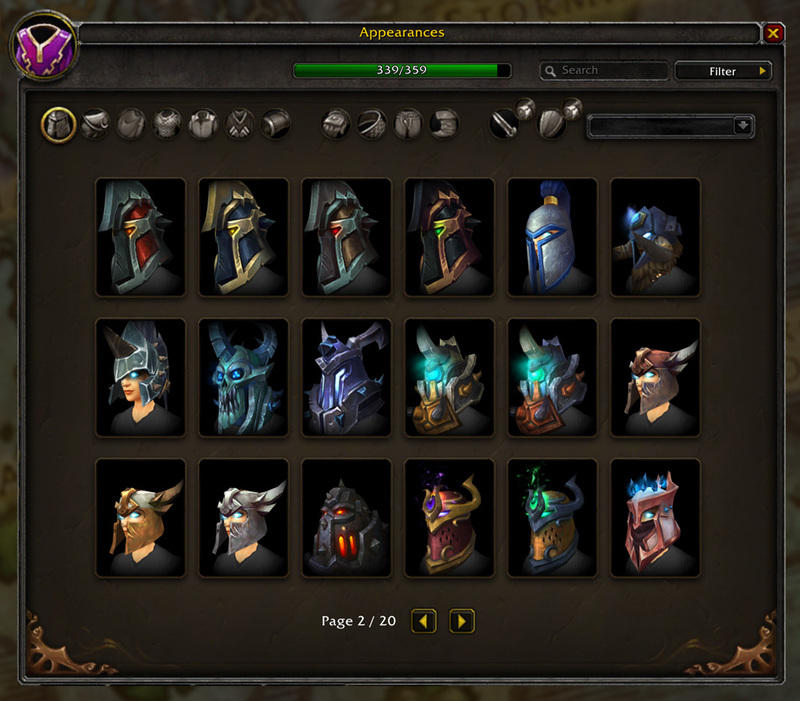 To put change how you look, youâ€™ll need to visit a Transmogrification vendor. 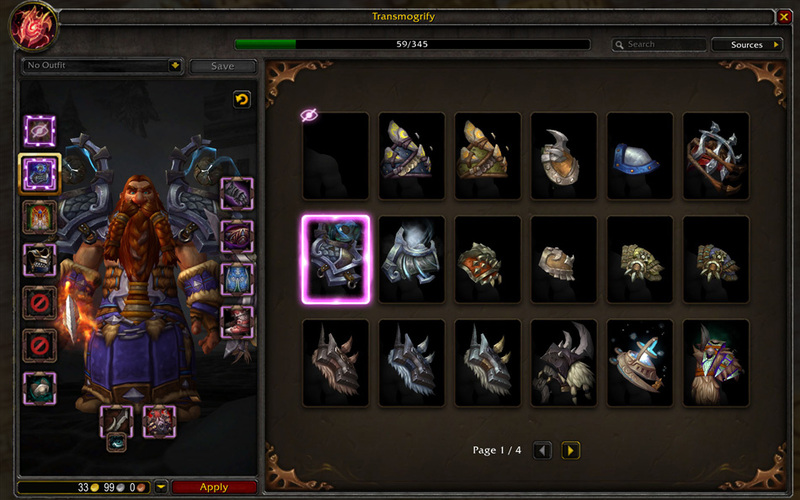 Youâ€™ll notice that the Transmogrification vendorâ€™s interface has been completely updated with a new look and new features. Now, when you select a gear slot, youâ€™ll see a preview of all of the different looking gear that your character can apply to the look of that slot. Go through as many as you like, then select â€˜Applyâ€™, and youâ€™re done. You can save different looks as â€˜Outfitsâ€™, so you can return later and change into a different Outfit anytime. Save a different Outfit for each of your different specializations, and when you change specs, your Outfit will automatically change, too! Now that you know how you want to look, donâ€™t forget that the Adventure Journal is there for you. The Loot tab in the Adventure Journal is the place to look for full sets of gear, or amazing Legendary items, and where to find them. Donâ€™t overlook the buttons on the top right of the Loot tab. 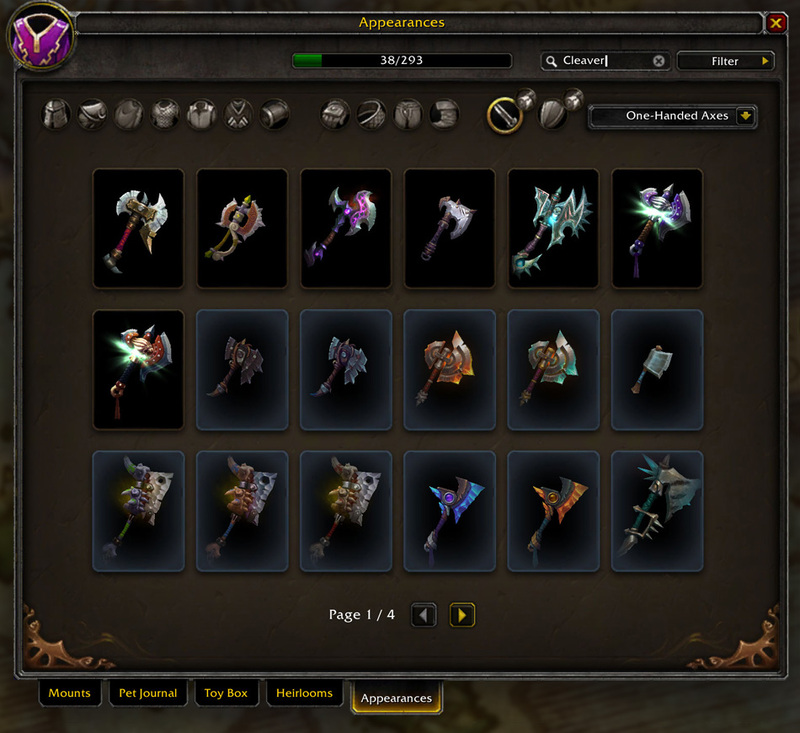 You can click on them and then drop down to filter the item sets by specialization, and the Legendary items by class, specialization, and slot. Hold down the control key and click on each of the parts of an item set to open a Dressing Room window and see how youâ€™ll look once youâ€™ve collected that set. As you mouseover each item, a message at the bottom of that itemâ€™s tooltip will tell you whether youâ€™ve collected it yet. 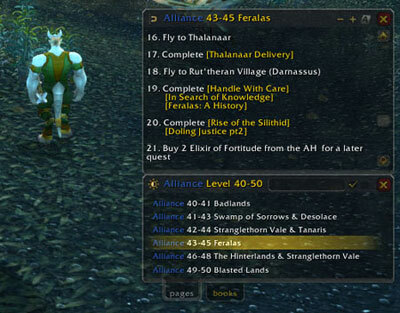 From anywhere in the Adventure Guide, you can type the name of a piece of gear into the search bar, and youâ€™ll be taken right to the page of the guide for the Dungeon and Boss that drops that item.